A certain nostalgia surfaces when people–particularly we of a “certain age”–become frustrated with technology, fear filled by world events or bewildered by the actions, clothing, language of younger people. Thoughts wander to the days of a simpler lifestyle when tomatoes tasted like tomatoes, telephones (with large dials and no buttons) hung on walls and church music was quietly, soothingly rhythmic. Western Christians especially are tempted to believe that God generally approved of our lives in the 1950s, divorce rarely happened and children were born obedient. Right was clearly delineated, wrong swiftly punished. God, however, never indulges in such a rose-colored glasses view. He says, The heart is deceitful above all things and it is exceedingly perverse and corrupt and severely sick… and he attaches no time frame! To read a practical history of humanity’s penchant for both good and evil regardless of the calendar, read Psalm 107, one of the most complete histories of people who claimed a relationship with God. Several years ago, a friend who described herself as “white haired and just a tad pudgy,” told me of her recent enrollment at a local college. When I expressed surprise at this endeavor, she went on to say that this occasional foray onto a campus kept her aware of and interested in the younger generation, as well as helping prevent the cementing of her brain into immovable chunks! Even more important for Christ followers is the always onward discovery and application of biblical truths, especially when uncovered in unexpected places. Recently I participated in a small group comprised of an ordained minister, a retired engineer and his teacher wife, a university student, a businessman and a homeless man from our community. Preconceived ideas and expectations slowly evaporated as we learned from and about each other. When our homeless friend quoted a somewhat obscure verse from the Old Testament, my naturally skeptical, proud and prejudiced mind wondered if he was accurate, I had never heard of that verse. Not only was “John” correct, but God used the quoted verses in a deep way in my life. Oswald Chambers, author of My Utmost for His Highest, writes, Beware if in personal testimony you have to hark back… If you get out of the light you become a sentimental Christian and live on memories, and your testimony has a hard, metallic note. If we want our faith stories heard and understood in the language of our culture, they dare not be hard and metallic. Rather they need to pulse with the vibrancy of a beating, warm heart that lives enthusiastically in the now. Oh, be careful little eyes what you see. “Those aren’t the words I learned in Sunday School,” you say? Actually they’re not the words I learned either. Faithful teachers taught us, “For the Father up above is looking down in love…,” but somehow in my heart and mind was planted the impression that I should be careful because God was akin to a celestial Santa ‘making a list and checking it twice.’ Ready to pounce and pronounce judgment whenever I didn’t measure up to His standards. Another result of my mistaken theology—and one I fight to this day—was a flawed belief that if I saw/said/heard/did all the right things, God would love me more. Quite simply this is a misunderstood view of law and grace, a view that plagued the early Christians and still infects those of us walking on planet Earth today. Could it be that we think children are too young to understand that immediately after Jesus gave the ‘If you love me, keep my commands’ statement, He went on at some length to teach His still-learning disciples that after He left them, He would send the Holy Spirit to enable them to keep that command? I was an adult who had walked with God many years before I read, understood, trusted and found peace in the words of Romans 8:1: Therefore, there is now no condemnation for those who are in Christ Jesus, because through Christ Jesus the law of the Spirit who gives life has set you free from the law of sin and death. British clergyman John Henry Newton once wrote, “Growth is the only evidence of life.“ Our son’s growing pains were a physical manifestation of growth. And growth means change. For our son, that meant new sizes for clothes, new ways of looking at life, expanding experiences. But change also occurs in thinking processes. Opinions we once held firmly—opinions based in facts we were taught or discovered for ourselves—change as we get new information or even as our culture causes us to look more closely at what once we felt to be true. Perhaps you’ve heard the term “flip flop politics.” It’s almost always used to negatively describe a politician (although not limited to that profession) who changes his or her mind on a subject. One person defines the term as a sudden real or apparent change of policy or opinion by a public official. The quote by Newton made me think of how often we misconstrue change as flip flopping. And that made me think of the people I know, or those I know of, who could be accused of the latter when in reality, they simply profoundly changed their views and thus their actions. In the religious sense, the Apostle Paul heads the list. As a faithful, educated Jew, Paul was ruled by justice and law. By his own admission he was the best of the best: “a Pharisee, of the tribe of Benjamin, a Hebrew of Hebrews…as for zeal, persecuting the church; as for legalistic righteousness, faultless.” Can you imagine how horrified Paul’s childhood compatriots, his family members, his theological tutors were at his “flip flopping”? Newton himself experienced profound change. From one involved in and benefitting from the slave trade in the 1800’s, Newton eventually came to understand and denounce its evils as his understanding of God grew. But even this change happened over the course of many years. Literature produces a graphic description of how change can affect the core of a person. In Les Miserables, the character Javert, who is ruled by the law, cannot live in a world that is ruled by something other than law, and when confronted by grace, decides to end his life. Profound change is impossible for Javert. Fortunately, wise people in my adult years have taught me that questions—when considerately, thoughtfully, honestly approached with wisdom from the Holy Spirit—lead to a depth of growth I would never have thought possible. David—a man after God’s own heart—asked questions: Why, Lord, do you stand far off? 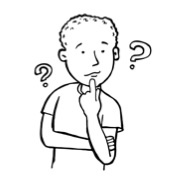 Christian philosopher, Dallas Willard, writes: The most important thing we can do for young people is to help them learn how to ask questions. An African proverb helps us see a discipleship truth about questions: The one who asks questions doesn’t lose his way. What have you changed your mind about? Did the change bring growth? How were God, circumstances, people involved in the change? What pain did the growth produce? Realtors know the importance of those three words. 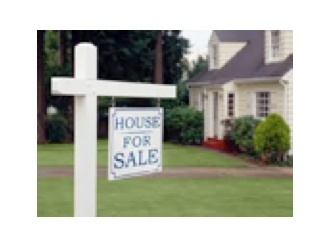 It means identical homes can increase or decrease in value due to location. It’s repeated for emphasis and it’s the number one rule in real estate. After reading the first chapter of a great book by Dallas Willard and John Ortberg*—and you know it will be profound with those two authors—I was musing about Jesus’ words in Matthew 28:18-20: Jesus came to them and said, “All authority in heaven and on earth has been given to me. Therefore go and make disciples of all nations, baptizing them in the name of the Father and of the Son and of the Holy Spirit, and teaching them to obey everything I have commanded you. And surely I am with you always, to the very end of the age.” This is commonly called the Great Commission although Willard wryly comments that it perhaps should be called The Great Omission. Most Bible scholars agree that the intent of verse 19 is “Going…” or “As you go…make disciples of all nations…” A simple, stated fact that will be—or should be—true of Christ followers. “You will be going throughout the world, so have this as a goal: make disciples…” After these words spoken by Jesus, after the apostles’ preaching and the followers’ obedient lifestyle began making inroads into all of society, after Stephen’s bold sermon and subsequent martyrdom, tragic events began: …a great persecution broke out against the church in Jerusalem and all except the apostles were scattered throughout Judea and Samaria… Those who had been scattered preached the word wherever they went. As they went they were making disciples. What would it look like if we took seriously this as you go commission in our day? When a new job necessitates a move to another part of the country, what if the family took this as a “commission” to make disciples in the new community? When a student is accepted at a university in another city, she assumes this is a “commission” to make disciples in that place. When retirement allows a move to a warmer climate, the primary “commission” is to eagerly seek out opportunities to make disciples. When age and infirmity dictates that a couple move into an assisted living facility, their “commission” is to be part of discipling—as health and energy allows—in that building. As you go, make disciples. Did I catch your attention with that grammatically incorrect title? This Wednesday, March 5, is Ash Wednesday, a day observed by millions of Christians as the beginning of forty days of repentance, moderation, fasting and attention to the spiritual disciplines. I didn’t grow up with this observance (along with several more that I deeply regret were not part of my religious training), but over the past 25+ years Ash Wednesday and Lent have become profoundly important to me. First, what is Lent? The word’s Anglo-Saxon root simply means “spring,” while its Latin meaning is related to “forty” and is symbolic of Jesus’ days of fasting in the wilderness. Many Christians are marked with ashes on their forehead on Ash Wednesday as a symbol of contrition and the beginning of a time which may involve some or all of the practices mentioned above. The forty days of Lent do not include Sundays because that day in the Christian calendar is always one of resurrection celebration, and the entire period is considered preparation, perhaps even a kind of cleansing, so that the “Easter Hallelujahs!” can be more profoundly realized. Next, why do some Christians, especially those of us with “baptistic” origins, not observe Lent. One reason is that it is not mentioned in the Bible (neither is Christmas or Easter although a Lenten observance goes back even farther than the Christmas celebration). Some fear that if we designate a particular period for fasting and denial, we might be admitting that self-indulgence is OK the rest of the year. (Actually, that might be closer to the truth than I want to consider. Sort of like eating four Hershey© bars on the day before a diet.) Others believe that Lent is “too Catholic” and didn’t we “protest” all that? Thus we’re called Protestants?? Also it might be that a number of Lenten non-observers remember being forced into a ritual without meaning and therefore shun any religious practice that recalls what they believe is shallow or even devoid of meaning. BUT…and there almost always is a BUT! If a true Lenten observance includes fasting, moderation, repentance and the practice of spiritual disciplines, why should I not at least periodically include all those in my walk with Christ? I suspect my resistance in the past—admittedly formed by religious prejudice, lack of understanding and improper teaching—also left me with a way out of more complete obedience to Jesus. After all, if I don’t find the word “lent” in the Bible, I’m off the hook, aren’t I? But then the Holy Spirit whispers: Jesus, and other inspired writers of the Bible, gave specific instructions about fasting (do it but don’t gripe and frown), moderation (fruit of the Spirit is self-control), repentance (if we confess our sins…), spiritual disciplines (pray without ceasing). Would it hurt to try it for forty days? What might happen if with pure heart I decide to follow the Savior more closely, more humbly, more deeply these forty days? Even asking Him to form my withering self-discipline into something more akin to a Kingdom value? I suspect that it wouldn’t involve giving up something (as is often prescribed) as much as adding something, such as usually- ignored service to the usually ignored? Maybe it will just be starting each day from now until April 20 with a simple prayer: “Here I am, Lord. Do with me as you will. I’m yours.” Maybe I need ashes on my forehead as a sign of humility.